The U.S. rig count rose on Friday and Tuesday’s IEA report hit the oil market hard, causing bulls to pocket some profit after the recent oil price rally, but geopolitical conflict in the Middle East has kept Brent prices above $60 per barrel. - U.S. distillate exports have surged in 2017, even as production has remained relatively flat. - Between January and July 2017, the largest buyer of U.S. distillates was Mexico (228,000 b/d), followed by Brazil (183,000 b/d) and the Netherlands (102,000 b/d). • Hess Corp (NYSE: HES) shut down oil production at three Gulf of Mexico fields after last week’s fire at the Enchilada platform, which it operates with Royal Dutch Shell (NYSE: RDS.A). Production has been halted while a fix is in the works. Hess’ share of production is 30,000 barrels of oil equivalent per day. • Royal Dutch Shell (NYSE: RDS.A) said it would sell part of its stake in Woodside Petroleum (OTCPK: WOPEY), Australia’s largest oil and gas producer, for about $1.7 billion. Separately, Shell plans to begin drilling a new offshore project in Brazil’s presalt in 2019. • YPF (NYSE: YPF), the Argentine oil and gas producer, saw its share price fall by more than 8 percent on news that the Argentine government cut natural gas subsidies. The company’s CFO said that it might reduce investment in shale gas if it cannot receive the subsidized price of $7.50/MMBtu. 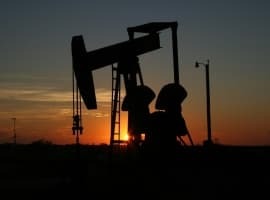 Oil prices fell on Tuesday in early trading, a sign that investors could be pocketing profits after building up huge net-long bets on crude futures. As those traders back out of bullish positions, they could be forcing oil prices to trade down a bit. IEA cut demand forecast. The IEA cast doubt on global demand in its report, lowering its projected demand growth figure for 2017 by 100,000 bpd to just 1.5 mb/d. 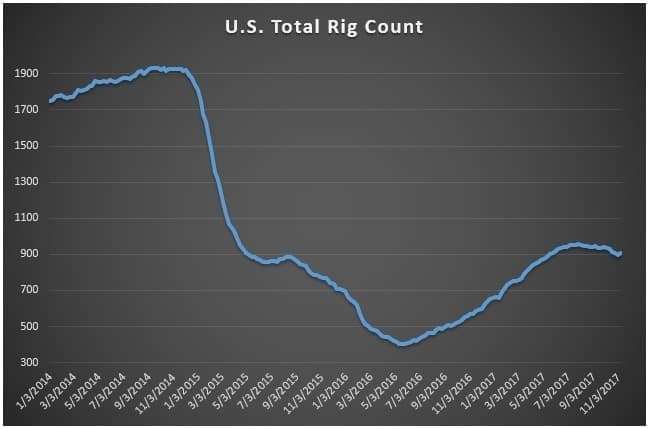 It also slashed its 2018 forecast by 100,000 bpd, lowering its estimate to just 1.3 mb/d. 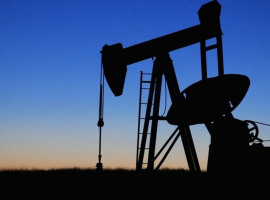 Lower than expected demand could deflate oil prices. OPEC production fell 151,000 bpd in October. 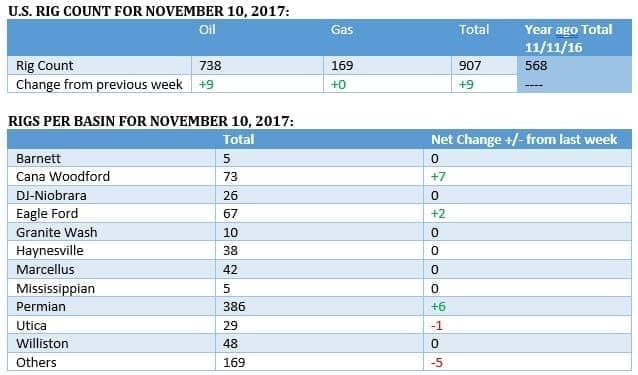 OPEC continued to report “high conformity levels” in October, with output dipping by 151,000 bpd from a month earlier. The data provides a strong bit of momentum heading into the cartel’s official meeting on November 30, a summit that most analysts believe will produce an extension of the current production cuts for as long as another year. In OPEC’s monthly report, the group cited falling global inventories as a sign that the production cuts have been a success. Citi warns of OPEC disappointment. While everyone is baking in the assumption that OPEC will extend its production cuts, Citi analysts warn that the market is setting itself up for disappointment. Hedge funds and other money managers have amassed a near-record number of bullish bets on oil, and few are expecting anything other than an OPEC extension through the end of 2018. Anything short of that, Citi says, will be a massive letdown. “There is an exuberance in the market about there being a done deal to extend through the end of 2018 and I think there’s likely to be disappointment in that come Nov. 30,” Ed Morse, head of commodities research at Citigroup, told Bloomberg. “Our base case is that we do not get a full-year extension on Nov. 30.” OPEC might simply extend through mid-year, leaving the decision to extend longer until 2018. “There’s a short-term possibility of a selloff,” Morse added. Middle East tension buoys oil prices. A fire hit an oil pipeline that runs from Bahrain to Saudi Arabia, an incident that the two Arab nations have said is the fault of Iran. Tension between Iran and Saudi Arabia have climbed recently, pushing up oil prices. OPEC said in its latest report that Saudi Arabia’s oil production rose to 10 mb/d in October, a development that would normally spook oil investors. But tension with Iran is worrying oil traders. “The rise by Saudi Arabia to produce more than 10 million barrels per day would have registered more,” John Kilduff, partner at Again Capital, told Reuters. “This is a new level of geopolitical risk,” he said. Saudi oil shipments to U.S. plunge. Saudi Arabia has tried to limit oil exports to the U.S. as a way of draining U.S. inventories. The U.S. imported only 525,000 bpd of Saudi oil in October, the lowest monthly total since 1987, and down by about two-thirds from a few years ago. 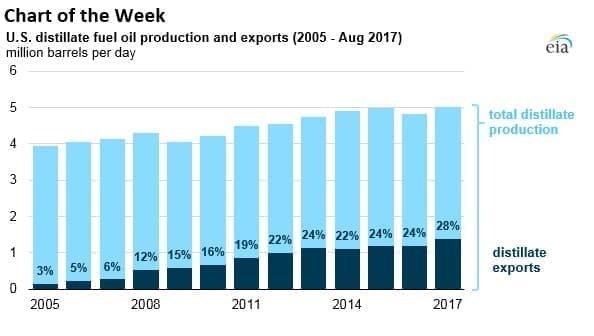 The strategy is succeeding, helping to drawdown U.S. crude inventories, but Saudi Arabia is also putting its U.S. market share at risk, which could be a difficult thing to claw back. Venezuela’s electric utility in default. Venezuela’s state electricity company, Corpoelec, missed a $28 million payment on Friday, a default that comes just as the government tried to negotiate for a much larger series of debt payments with creditors. Venezuela, PDVSA, and other state enterprises, have missed a combined $350 million in debt payments over the past month. But the 30-day grace period on many of those payments will expire this week, meaning that the amount of debt that Venezuela will default on is set to rapidly escalate. S&P said on Monday that the country is technically in default. President Maduro is trying to negotiate with creditors over $63 billion worth of debt. Separately, BP (NYSE: BP) CEO Bob Dudley said that Venezuela is the one country that presents the most risk to the oil market. "I think most people would say the Gulf region, I actually say Venezuela," Dudley said at an industry conference. "I think Venezuela is just defying economic gravity and I think that's a real wild card," he added. GM to produce enough EVs in China to meet quotas. China is requiring automakers to manufacture new energy vehicles (NEVs), and by 2019 NEVs have to account for 10 percent of their sales. That level will rise to 12 percent by 2020. If companies fall short, they have to purchase credits. The policy is forcing automakers to make investments in EVs. GM (NYSE: GM) said that it would be producing enough NEVs to meet that quota by 2019. ExxonMobil’s 3-mile shale wells. ExxonMobil (NYSE: XOM) has drilled some shale wells in the Bakken that extend 3 miles in a horizontal direction. It is also closing in on the ability to drill a 4-mile horizontal well, which would be “a game changer that could potentially allow the company to leap frog the competition in unit cost and return metrics,” Barclays analysts wrote in a research note.